Is Schweitzer-Mauduit International, Inc. (SWM) A Good Stock To Buy? The successful funds run by legendary investors such as Dan Loeb and David Tepper make hundreds of millions of dollars for themselves and their investors by spending enormous resources doing research on small cap stocks that big investment banks don’t follow. Because of their pay structures, they have strong incentive to do the research necessary to beat the market. That’s why we pay close attention to what they think in small cap stocks. In this article, we take a closer look at Schweitzer-Mauduit International, Inc. (NYSE:SWM) from the perspective of those successful funds. Is Schweitzer-Mauduit International, Inc. (NYSE:SWM) a good investment now? The smart money is in a pessimistic mood. The number of long hedge fund positions that are disclosed in regulatory 13F filings shrunk by 3 recently. SWM was in 14 hedge funds’ portfolios at the end of September. There were 17 hedge funds in our database with SWM holdings at the end of the June quarter. At the end of this article we will also compare SWM to other stocks including Zeltiq Aesthetics Inc (NASDAQ:ZLTQ), Theravance Biopharma Inc (NASDAQ:TBPH), and United Fire Group, Inc. (NASDAQ:UFCS) to get a better sense of its popularity. How are hedge funds trading Schweitzer-Mauduit International, Inc. (NYSE:SWM)? At Q3’s end, a total of 14 of the hedge funds tracked by Insider Monkey were bullish on this stock, a drop of 18% from the previous quarter. 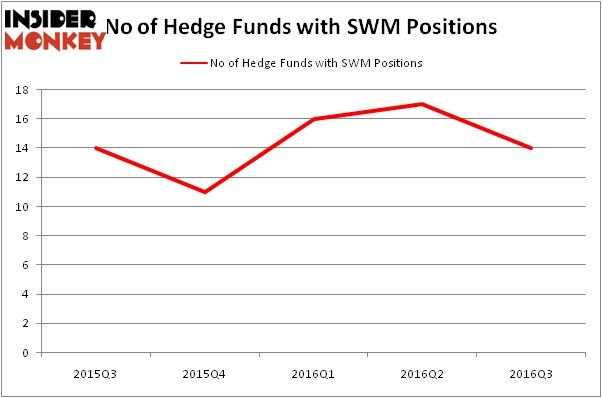 On the other hand, there were a total of 11 hedge funds with a bullish position in SWM at the beginning of this year, so hedge fund ownership is still up for the year. With hedge funds’ positions undergoing their usual ebb and flow, there exists a few key hedge fund managers who were increasing their stakes substantially (or already accumulated large positions). 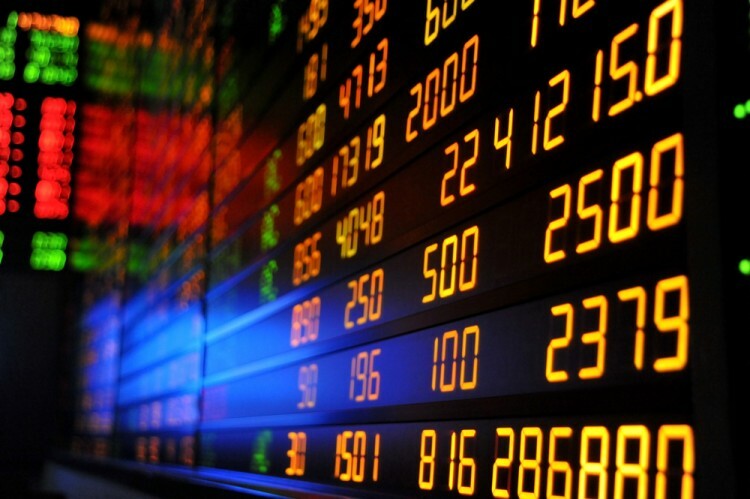 Of the funds tracked by Insider Monkey, Renaissance Technologies, founded by Jim Simons, holds the number one position in Schweitzer-Mauduit International, Inc. (NYSE:SWM). Renaissance Technologies has a $20.7 million position in the stock. On Renaissance Technologies’s heels is Arrowstreet Capital, led by Peter Rathjens, Bruce Clarke and John Campbell, holding a $10.5 million position. Some other professional money managers with similar optimism comprise Chuck Royce’s Royce & Associates, Israel Englander’s Millennium Management, and Joel Greenblatt’s Gotham Asset Management. We should note that none of these hedge funds are among our list of the 100 best performing hedge funds which is based on the performance of their 13F long positions in non-microcap stocks. Is Cryolife Inc (CRY) A Good Stock To Buy? Is Bottomline Technologies (EPAY) A Good Stock To Buy? Is Tobira Therapeutics Inc (TBRA) A Good Stock To Buy? Is Cohu, Inc. (COHU) A Good Stock To Buy Right Now? Hedge Funds Are Selling Concordia International Corp (CXRX) Is 2U Inc (TWOU) A Good Stock To Buy?